Home accessories Super inexpensive cute, jewelry haul! 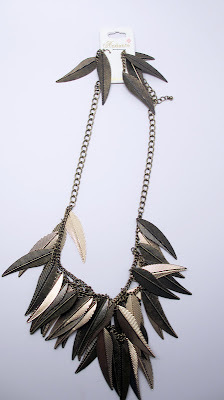 I got to share with you a great site where I purchased a lot of funky, inexpensive pieces. I heard about it from a fellow blogger Ella. The online boutique has just jewelry but it seems like they're expanding into clothes, shoes and more in the spring. Now's the time to get the jewelry pieces because it seems like they're auctioning off a lot of their older items. This is the piece I saw one of the other bloggers purchase. 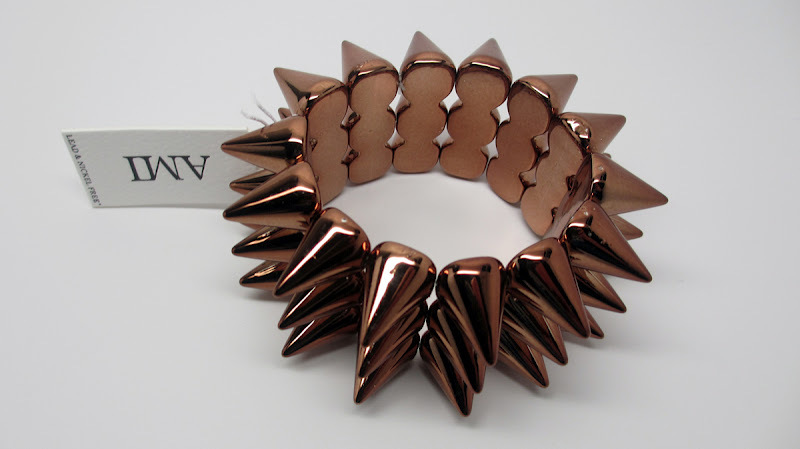 It's a very funky, plastic spiked cuff that's stretchable. I love the bronzey/rose gold color. I think it will look super cute stacked with other bracelets and it will really add edge to an outfit. I loveeee this ring. I just think it's funky and chic at the same time. It stretches so I like to wear it on my middle finger. I love the mix of chains and bling. 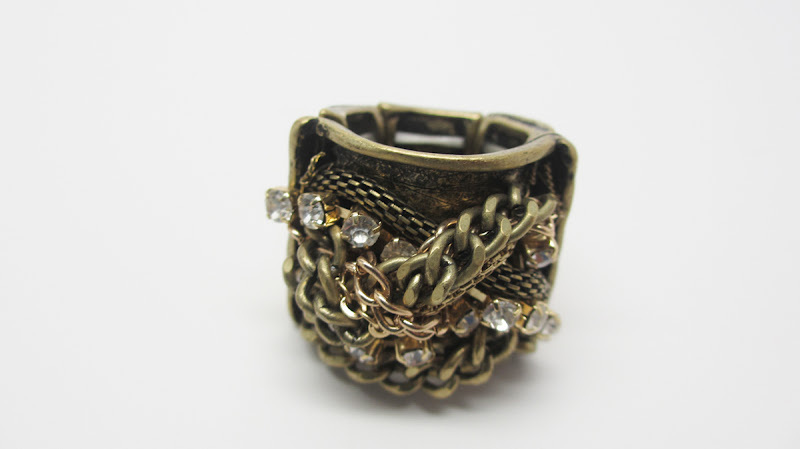 I loveeee this ring as well. Again it's stretchy so it fits pretty much any finger. 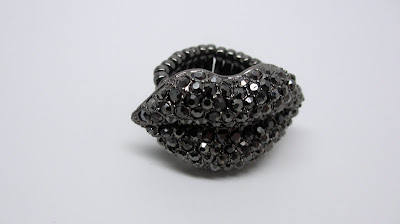 I love the lips and I'm glad I got it in the darker black rhinestone shade. They had a hot pink lips set but I think that wouldn't have been as chic. 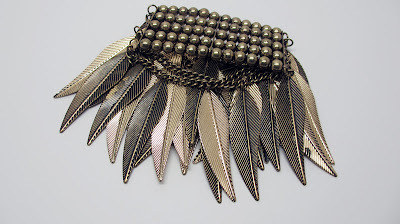 I think this statement necklace is gorgeous. 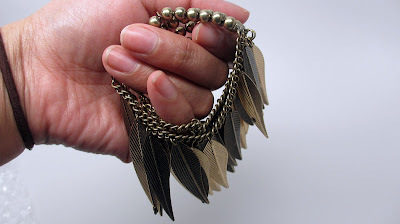 I love the metallic leaves and I already know that I want to pair it with a khaki green button up dress in my wardrobe. I don't have pierced ears so I might just give the earrings to a friend. This style of bracelet is super in right now. 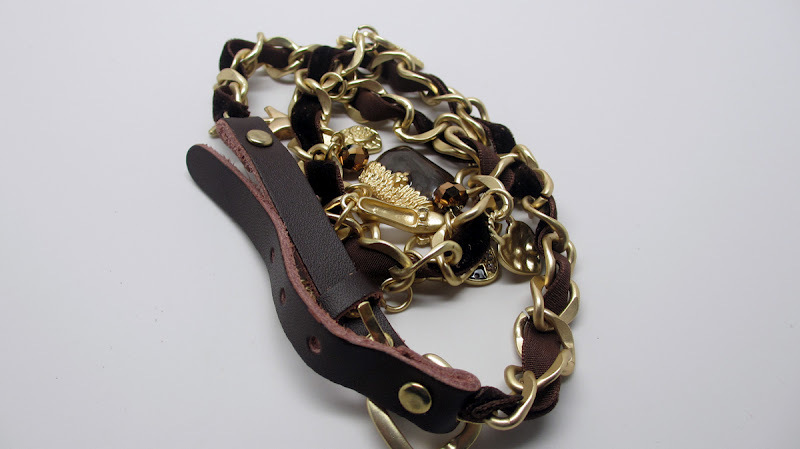 It's a mix of brown leather and gold chains and has a bunch of super cute charms such as purses and shoes on it. It's a bit small so I think i'll just punch an extra hole in it. If you saw the video you'll notice that this bracelet broke as I tried it on. It's a bit tight and it has elastic rubber bands holding together...not that sturdy. I guess that's what you pay for...it's more cute than high quality. Fortunately my boyfriend broke out a pair of pliers and fixed it! Here is the bracelet in a different position so you can see how it would look on your wrist. You can find these products at www.justchiconline.com . Keep in mind I bought most of my items on clearance and there were only 1 or 2 of each type left. love the products you bought! wow i love the designs you chose! Also, I have good ones too! would u like to share it? These look really cool, and yeah I agree they are reasonably priced.